I thought the Grammy Awards were fantabulous last night. With the exception of Bruno Mars (sorry, not a fan) and the Nicki Manaj spectacle, I thought that this was the best of this awards show in years. It wouldn't be like me to not talk about my favorite Grammy makeup, though. 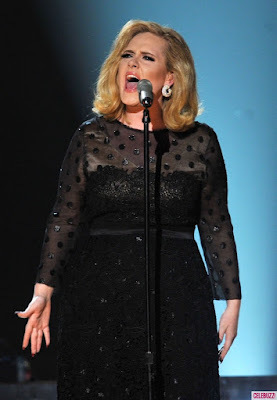 The winner is an easy one for me--Adele, the winner of 6 Grammys last night. Love her voice. Love her personality. Love the fact that she hasn't succumbed to the "I need to be a size 0 to be beautiful" or "I need to act strangely or dress like a hoochie because I am a star" mentality seen from others on the red carpet. It was so nice to see someone with class on the Red Carpet. Adele went retro glam with the first look--dramatic eyes, matte makeup, perfectly groomed brows, and the classic red lip. You can use natural makeup to achieve Adele's look. For her matte face, begin with a natural primer such as 100% Pure Luminous Primer with 100% Pure Healthy Skin Foundation and using a pressed powder such as 100% Pure Healthy Skin Powder. To have long lasting, groomed brows like Adele's, I recommend the newest brow product from Silk Naturals. I am loving this. 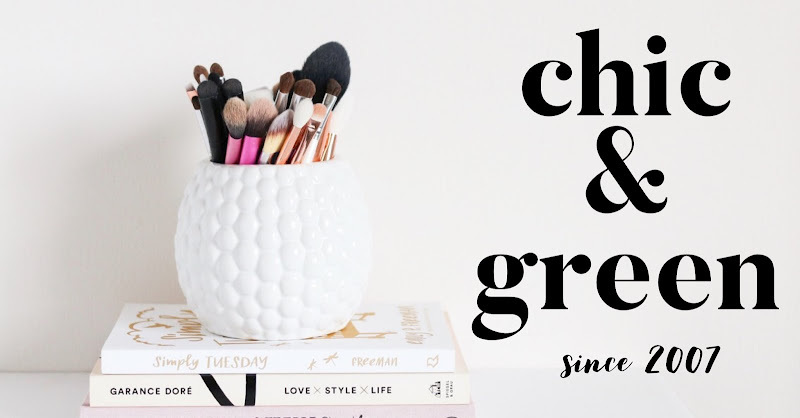 It is the new Brow Cream (I use the Medium Ash) and sells for just $6.50. 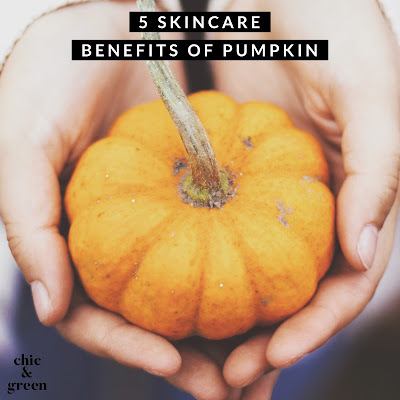 It's made with stellar ingredients such as coconut oil and castor oil. For Adele's eyes, sweep a soft creamy colored shadow all over. I recommend Cream from Silk Naturals. For a strong black lined eye like Adele's, I recommend a natural liquid eyeliner such as 100% Pure Creamy Liquid Eye Liner in Black Tea, a rich true black. Don't forget the lashes! Curl them with an eyelash curler and apply a natural mascara. The best? 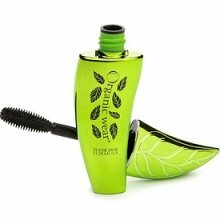 Physicians Formula Organic Wear Jumbo Lash Mascara in Ultra Black. A true red lip without nasty chemicals can be found. My recommendation for Adele's look would be Silk Naturals Bombshell Red Vegan Lipstick.